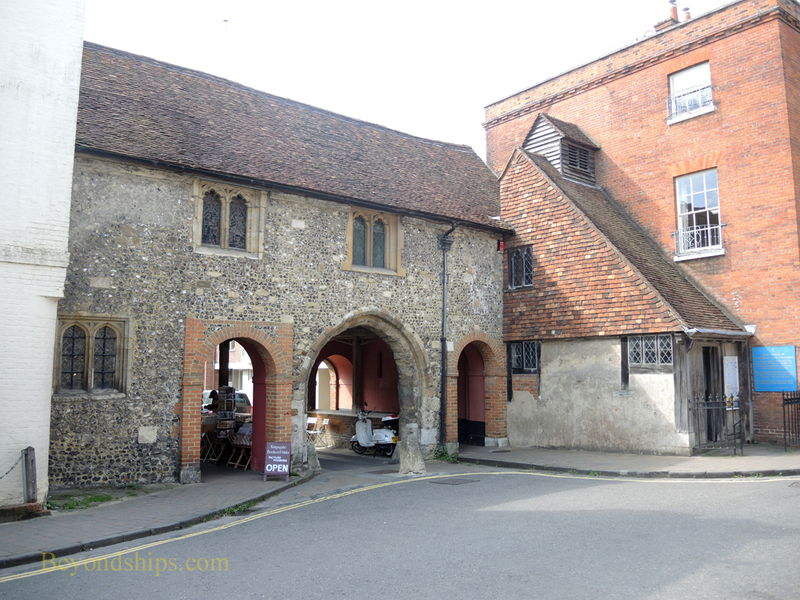 Just outside the close is the King's Gate, one of the medieval gates to the city when Winchester was a walled city. Upstairs above the gate is a small church that is still active. Nearby is the Jane Austen House. Jane Austen was plagued by illness for much of her life. In 1817, the writer and her sister came to Winchester in order to be near Jane's doctor. It was to no avail as Jane died not long after. She very much admired the Cathedral and as mentioned earlier, she was buried there. Interestingly, permission for the burial resulted not from the fact that she was a great writer but because some of her relatives were members of the clergy. Down the street is a complex of buildings that is one of England's most prestigious public (i.e. private) schools. 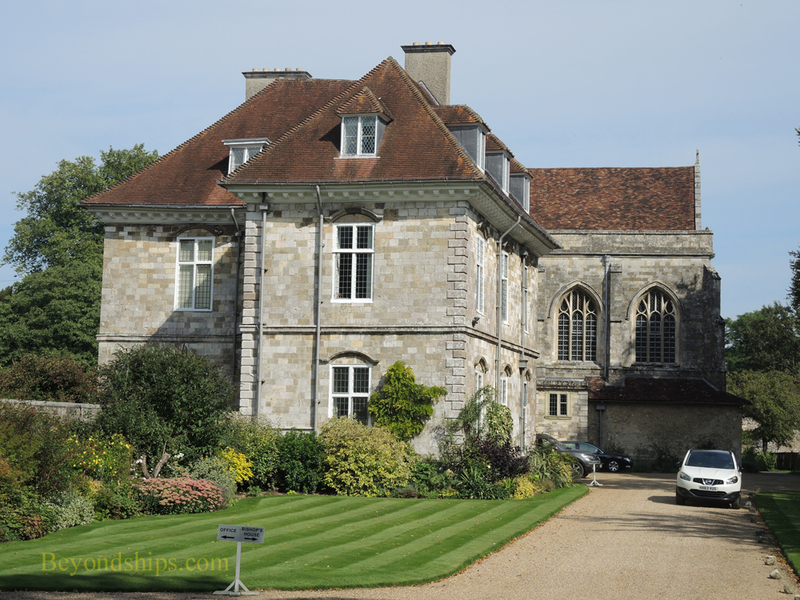 Winchester College was founded by Bishop William of Wykeham in 1382 in order to train poor boys for life in the church. In the centuries that followed, it developed and has maintained a reputation for scholarship. Several of the buildings are usually open to the public but the entire complex can be closed depending upon the academic calendar. Continuing down College Street you come to the Bishop's Palace designed by Sir Christopher Wren. The original bishop's palace, Wolvesey Castle, was a Norman structure dating from the 12th century. It was demolished in favor of the new Baroque building in the 1680s with only the old chapel being incorporated into the new building. However, the new palace was allowed to deteriorate to such as extent that most of it had to be demolished in 1786. Consequently, what we see today is the west wing of the new palace. The ruins of the old palace adjoin the new palace. Beyond the Bishop's Palace, a pedestrian walkway called the Weirs curves northward along the old city walls. This area has been beautifully landscaped to form a scenic park with vistas that include tall trees, flowers and the River Itchen. Eventually you come to the High Street Bridge. On the other side of the road is the City Mill. There has been a mill on this site since the 11th century. The current mill was built in 1744 and is now under the care of the National Trust. Turning left, you see an enormous statue of Alfred the Great in the middle of the street. Designed by Hamo Thornycroft, the statue was erected in 1899 to mark the 1,000 anniversary of Alfred's death. Alfred is the only English king to be called “the Great.” He is remembered for his defeat of the Vikings, his diplomacy that united the various kingdoms which then existed in England and for his lawmaking. Winchester was his capital. Nearby is the Victorian Gothic Guildhall. 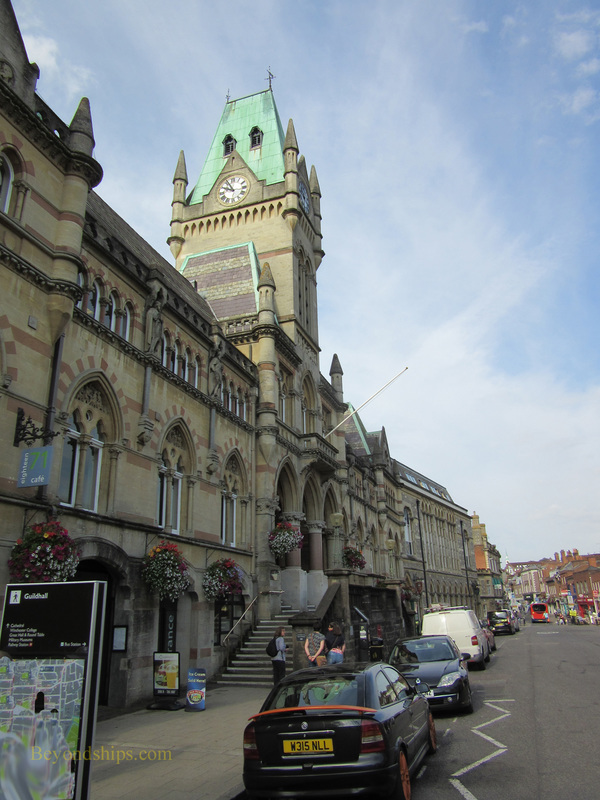 Built in 1873, it is home to the City Council, an art gallery and the tourist information office. Above: The Jane Austen House. Above: Scenes along the Weirs. Below: The High Street Bridge and the City Mill astride the River Itchen.